Many people with Hashimoto’s Thyroiditis have adrenal fatigue. My goal is to not only explain how this develops, but to give you some tips that will help to restore the health of your adrenal glands. 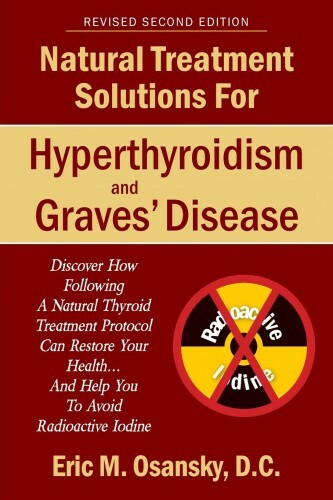 In addition to being a licensed healthcare professional that has helped patients with adrenal fatigue, I personally was diagnosed with an autoimmune thyroid disorder, had stressed out adrenals, and successfully restored the health of my adrenal glands. While many people are aware of the common symptoms associated with adrenal fatigue (a constant feeling of exhaustion, sleeping difficulties, difficulty concentrating, etc. ), what many people don’t realize is that stressed out adrenal glands can actually cause an autoimmune disease such as Hashimoto’s Thyroiditis to develop. The reason for this is because chronic adrenal fatigue can compromise the immune system. So over a long period of time, this weakened immune system can make someone susceptible to an autoimmune thyroid disorder, such as Hashimoto’s Thyroiditis. The good news is that most cases of adrenal fatigue can be reversed. The problem is that most people don’t know how to do this, as many simply go out and purchase some nutritional supplements from their local health food store, hoping this will help. Some will consult with a medical or holistic doctor, but the fact remains that most doctors don’t know how to properly treat this common problem. I too was guilty of this when I first began practicing, as my first few years of practicing I would also simply tell many of my patients to eat healthy, tell them to take some supplements, etc. Cause #1: Chronic stress. This is a major cause of adrenal fatigue, as while the adrenal glands were meant to deal with acute stress situations, they cannot effectively deal with chronic, prolonged stress. Unfortunately, we live in a society where the majority of people have some type of chronic stress in their life, which over a period of months and years will take its toll on the adrenal glands, resulting in adrenal fatigue. Cause #2: Poor eating habits. Eating poorly can definitely affect the health of your adrenal glands and eventually contribute to adrenal fatigue. This is especially true for those that frequently eat refined carbohydrates, in which many people fit under this category. The reason this can affect the adrenal glands is because refined foods removes both the nutrients and the fiber from the whole food source. While the manufacturers do replace some of the removed nutrients, these refined foods no longer have the fiber component to help slow down the absorption. What this means is that when you eat a refined food, it absorbs quickly into the blood stream, and spikes up the blood sugar levels. So someone who has a habit of eating refined carbohydrates throughout the day (sugary cereals, and snacks, bread, pasta, etc.) will cause the blood sugar levels to spike up and come crashing down, over and over again. Over a period of months and years, this will put a considerable amount of stress on the adrenal glands, as well as other endocrine glands in the body. While I’m not going to discuss the physiology behind this here, adrenal fatigue affects the hormones cortisol (released when the blood sugar levels are too low) and insulin (released by the pancreas when the blood sugar levels are high). Over time this can lead to depleted cortisol levels, which in turn can lead to chronic fatigue and many other symptoms associated with stressed out adrenal glands. This can also lead to conditions such as insulin resistance, diabetes, autoimmune thyroid disorders, etc. Cause #3: Not eating regularly. In addition to eating junk food frequently, many people are guilty of not eating on a consistent basis throughout the day. Many will skip breakfast, which also isn’t a good thing to do. This once again all ties in with balancing blood sugar levels, and if you skip breakfast and/or go more than a couple of hours without eating upon awakening, this will put a lot of stress on your adrenal glands, eventually leading to adrenal fatigue. There are other causes of adrenal fatigue besides these three factors, but just making these changes in your lifestyle can really do wonders when it comes to adrenal health. 1. Do a better job of managing the stress in your life. I realize this is not easy to do, but the fact remains that if you don’t do a good job of managing the stress in your life, there is virtually no chance of restoring the health of your adrenals. Just about everyone deals with chronic stress, so I’m not suggesting that you can eliminate all of the different stressors. However, most of us can do a much better job of handling the stress. 2. Reduce the amount of refined carbohydrates you eat. Although it would be great if you could completely eliminate all of the refined foods in your diet, even if you just dramatically reduce how much refined foods you eat daily it can help a great deal. Eat more whole foods, and try to make sure that each meal incorporates some protein. I personally grew up eating sugary cereals every morning for breakfast (Fruit Loops was my favorite), but these days have a healthy protein shake for breakfast, which includes some berries (raspberries, blueberries, and blackberries), some purified water, protein powder, flax seed oil, and an egg. And while this might not seem too appealing to you, it actually tastes okay, and it gives me a great deal of energy to start the day. If you really want it to be a little bit sweeter you can also add half a banana. This doesn’t mean you also need to start the day with a protein shake, as you can have some organic eggs, or some other healthy source of protein. And no, organic cereal isn’t healthy! I brought this up because some people thing that just because a product is organic means that is healthy, but this isn’t true. While it might be better than eating a non-organic brand, it is still a refined carbohydrate. 3. Eat regularly throughout the day…and don’t skip breakfast! In addition to eating breakfast, try not to go longer than two hours throughout the day without eating. And by the way, getting back to eating breakfast, you don’t have to eat a huge breakfast to start the morning. I realize that many don’t feel hungry upon waking up, but you still do need some type of protein to begin your day. Even if it’s just a few bites of something that is of high protein, that’s better than not eating at all. I personally like the protein drink not only because it gives me some protein to start the day, but also immediately hydrates my body, as I add two cups of purified water. So eat breakfast upon waking up and then eating every two hours thereafter will do wonders in balancing your blood sugar levels. 4. Nutritional supplementation can help. Many people want to know if taking nutritional supplements and/or herbal remedies can help with adrenal fatigue. I personally think it’s best to consult with a natural endocrine doctor, mainly because it’s not as if everyone with adrenal fatigue needs to take the same supplements and herbs, and plus people will need to take different dosages. The one herb I will mention that can help with the sugar cravings is Gymnema. This is very effective in helping to eliminate any sugar cravings you have. Once again, I do recommend that you consult with a natural endocrine doctor to know what dose you should take, as well as getting a high quality product. If you follow the advice I have given, over time you will see your energy levels return, will sleep better, and overall will feel much better. This not only can help to reverse the adrenal fatigue, but along with incorporating other natural treatment methods it can also help to fully restore the health of someone who has Hashimoto’s Thyroiditis. While some of these things you can no doubt do on your own to help improve your adrenal health, if you suffer from Hashimoto’s Thyroiditis and you’d like to consider a natural treatment protocol, I would highly recommend consulting with a competent natural endocrine doctor. After all, we’re talking about a serious autoimmune thyroid disorder, and if you want to receive optimal results, it is best to consult with an expert. Dr. Eric Osansky received a Master of Science degree in Human Nutrition and Functional Medicine from the University of Western States. Dr. Osansky is a Certified Nutrition Specialist, which requires advanced-degree education qualifications, completing and passing an examination, and substantial nutrition experience. Although he’s not an herbalist, Dr. Osansky has received a certificate of herbal therapy through the Australian College of Phytotherapy. is a licensed healthcare professional who focuses his practice on conditions such as hypothyroidism and Hashimoto’s Thyroiditis, and hyperthyroidism and Graves’ Disease. For more information, please visit his Facebook page and website, NaturalEndocrineSolutions.com. Questions or anything to add about healing your adrenal fatigue? We want your thoughts, please. You might just help someone else in need. I live in a rural area and haven’t been able to identify a natural endocrinologist — or indeed, a decent thyroid practitioner who takes Medicare patients. Can you advise me where I might find a directory listing such practitioners? I live about four hours from NYC, Philadelphia, Baltimore, Washington DC and Pittsburgh (5 hours), and I am willing to travel to get the help I need. I have a dx of Hashimoto’s, adrenal fatigue, and now am also pre-diabetic. Also, I already eat only whole foods, gluten free, and as low sugar as I can. I take porcine Thyroid and adrenal complex, and a whole load of vitamins and supplements as directed by my current practitionery, a CNP in private practice who doesn’t accept Medicare. What else can I do to help myself? I still have a long list of symptoms, altho’ some areas have improved. I’ve been on this journey for four years now. What when your stress isn’t a matter of controlling it? I lost my mother, husband, aunt and dog, plus had thyroid cancer in a matter of 5 years. Now that stress I could not prevent and there is no way to handle stress better when you are dealing with taking care of a person who is dying over a long period of time. I have no idea where to find a natural endo and I live in a large metropolitan area.